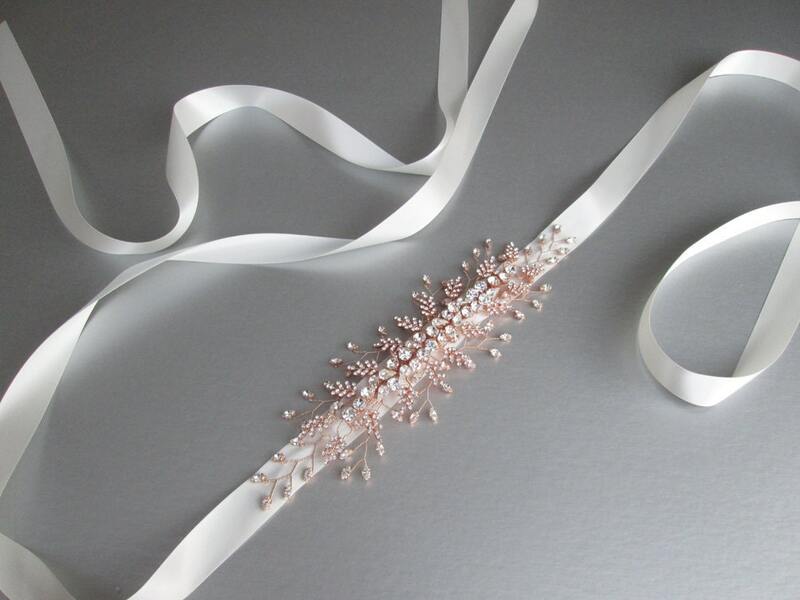 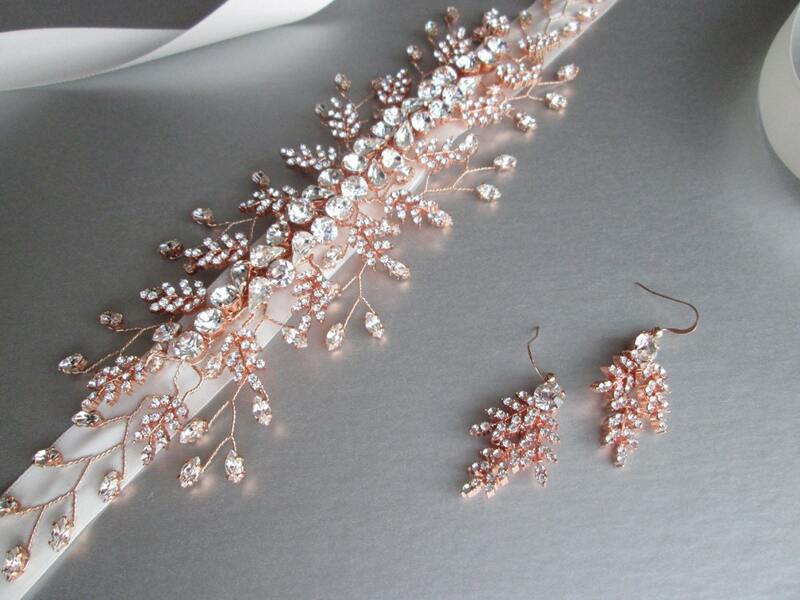 This delicate floral belt is made with the top quality crystals and comes in rose gold, gold or silver finish. 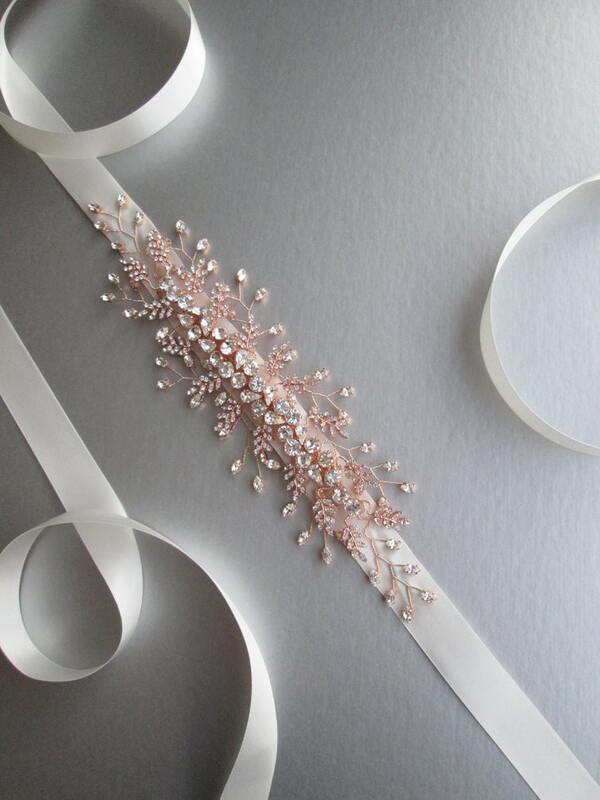 The crystal part of the belt measures about 11" long and 2 3/4" wide. 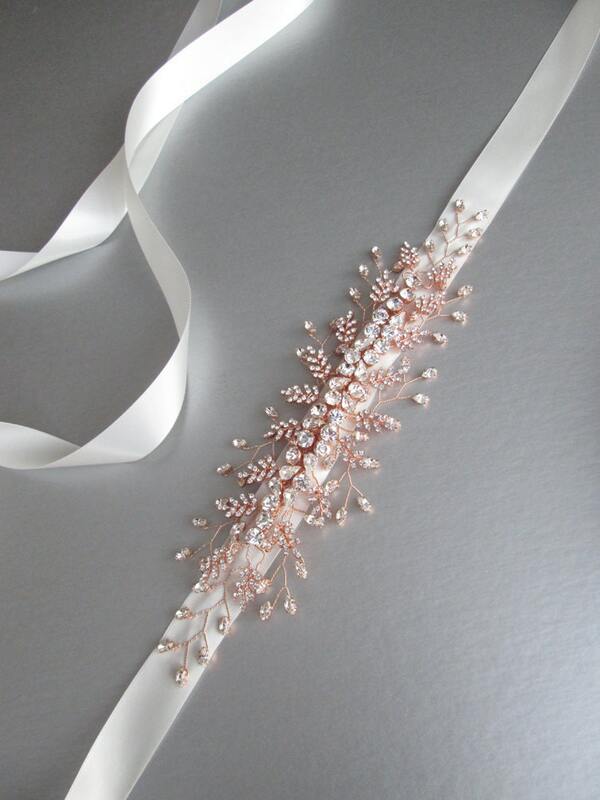 The crystal arraignment is appliqued on 1" wide double face satin ribbon measuring 150" long. 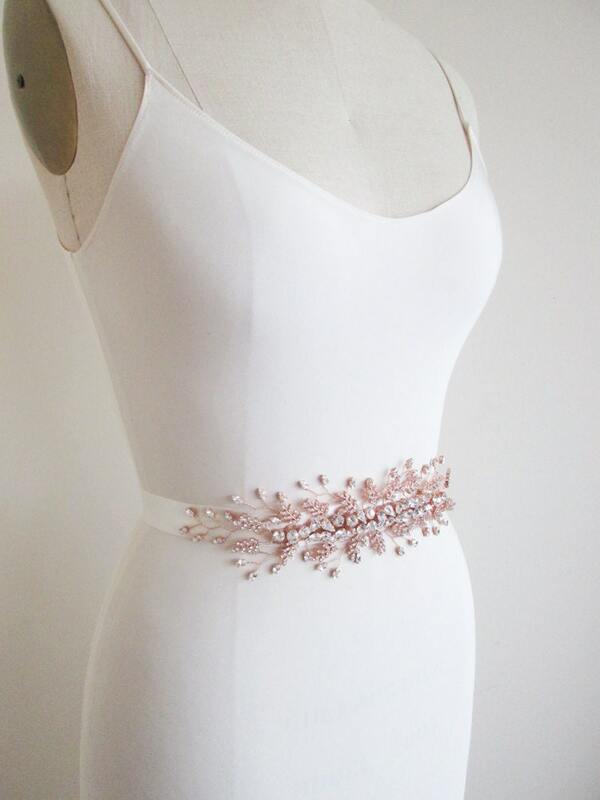 This belt is available with grosgrain ribbon or satin ribbon.